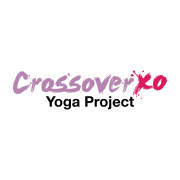 The Crossover Yoga Project (CYP) is a nonprofit organization that empowers teen female survivors of sexual trafficking, substance and physical abuse, in foster care, runaway shelters and within the juvenile detention system. CYP's intention is to provide a safe space offering tools to self-regulate and the resilience to make positive choices. Participants in CYP's mindful, trauma conscious curriculum classes report that they sleep better, gain more focus and do better in school, manage their emotions better, trust themselves and others more, and develop a sense of empathy. Would you recommend CROSSOVER YOGA PROJECT?